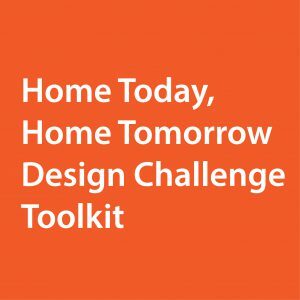 The Home Today, Home Tomorrow Design Challenge toolkit from AARP includes information for Architects & Builders and Home Owners to incorporate universal design features into homes. These features can allow people of varying abilities to continue to live in and enjoy access to homes. The toolkit lists various features such as graded yards, step-free routes, outdoor decks, weather protection, door hardware, laundry, bathroom, kitchen and more that can be made part of a more accessible home. The toolkit includes cost and difficulty levels of adding various features, and some how-to tips to get people started toward making a home more inclusive.